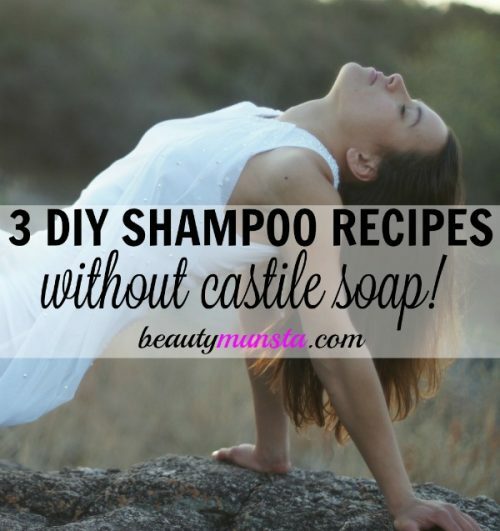 3 Homemade Shampoo Recipes without Castile Soap - beautymunsta - free natural beauty hacks and more! Looking for non-sudsy DIY shampoos?! Here are 3 homemade shampoo recipes without castile soap for damaged hair, hair growth and greasy hair! 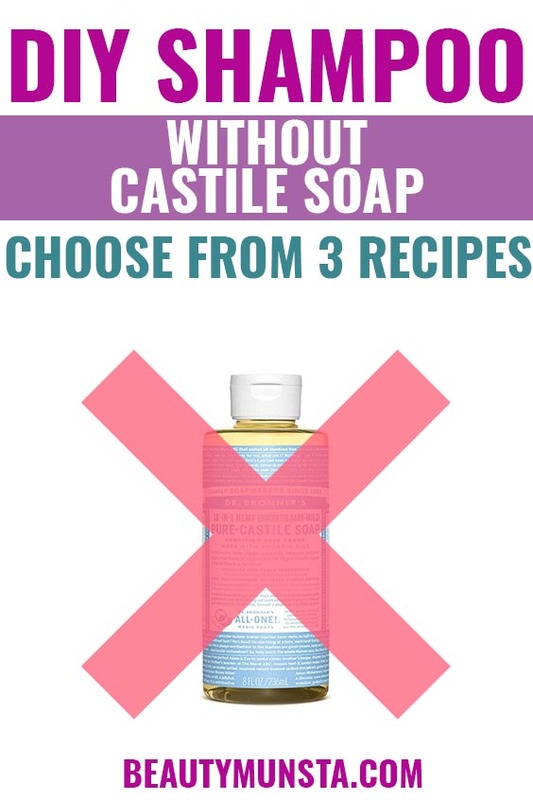 Though castile soap is said to be a gentle natural cleanser for skin and hair, for some people especially those with sensitive scalps, it may not be the best option for shampoo. These homemade shampoo recipes do not contain castile soap and therefore do not lather like those containing castile soap. Do they work effectively in getting rid of dirt, grime and stale oils? They sure do! I use them all the time! Today, I’ll be sharing with you 3 of my favorite homemade shampoo recipes without castile soap that I love to use often! PS: Many people who stay away from conventional shampoos or use the no ‘poo method, don’t wash their hair often – some even wash their hair just once a week but I beg to differ – please wash your hair every other day for a healthy scalp + hair. Note: All these measurements are for straight medium-thick shoulder length hair. Feel free to adjust the ingredients according to your hair length and thickness. Coconut oil – Applying coconut oil to hair has actually been proven to actively fight hair loss. When you apply coconut oil to your scalp and hair before a shower, it seals the hair strands which prevents water from entering the hair and causing the hair strand to expand leading to uneven, stringy and rough hair. Read more about it in detail in this post of mine. Coconut oil also easily penetrates into the hair shaft and follicles, which deeply nourishes them. Honey – Honey is a deep cleansing agent which drives out dirt, stale sebum, dead cells and grime from deep within the scalp. It also hydrates hair, fights dandruff, soothes irritation, nourishes & promotes growth as well as naturally conditions hair. Note: I got some readers saying this shampoo made their hair greasy. Keep in mind this shampoo is designed for normal/dry hair types so if you have greasy hair, reduce/eliminate the coconut oil from the recipe and adjust the other ingredient measurements. Or, simply choose another shampoo recipe because you know coconut oil will make your oily hair even oilier so just use common sense here. I make a fresh batch of this every time I’m going to shower because it’s very easy to. Simple get a bowl, squeeze in 3 tbsp of liquid organic wildflower honey, add 1 tbsp of coconut oil and 3 drops of lavender essential oil. Stir well with a spoon to form a creamy shampoo! Face a mirror and untie your hair if it’s in a bun/ponytail. Now start sectioning your hair and applying the shampoo! You can go from left to right or even start from the middle but all you’re going to be doing is systematically applying the whole mixture onto your scalp. When your whole scalp is covered, scoop up the remaining mixture and smooth it over the length of your hair. You do not need to coat your whole hair length in the mixture! You only need to use what little was left in the bowl. Now I like to let the nourishing nutrients penetrate for about 5-7 minutes so while waiting you can do other things like shave, wash your body or do some squats lol. When the time is up, rinse off thoroughly with warm water first then cold water. That’s it! Your scalp will feel clean and soothed and your locks will be silky and shiny. 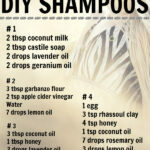 Do you want to make your own natural and effective shampoo right at home! 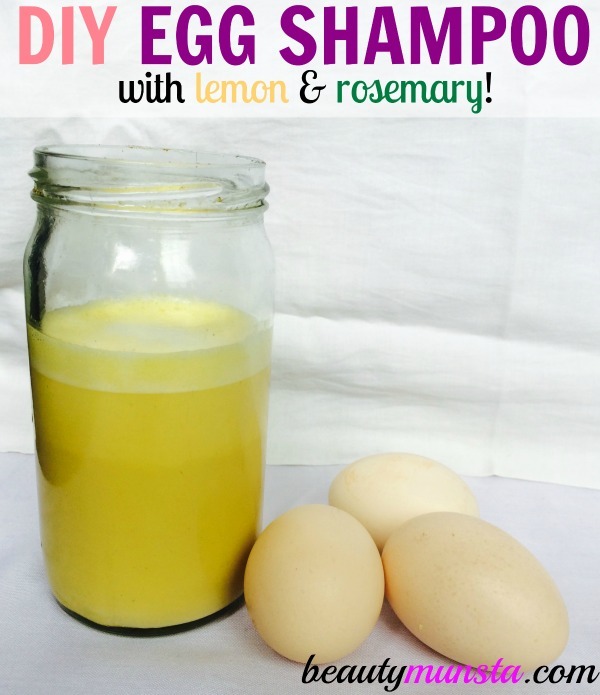 Try this DIY egg shampoo recipe for clean, soft and shiny hair! It also promotes strong, long and thicker hair! When I used this diy egg shampoo, my scalp and hair were left squeaky clean and I had absolutely no issues detangling my hair! I used my fingers and detangled all of it in 3 minutes! The eggs naturally condition hair, remove excess oils, nourish the hair follicles and promote hair growth! Rhassoul clay removes dirt and grease, rosemary EO promotes scalp circulation and hair growth while lemon EO combats dandruff, acts as an antibacterial and leaves your hair smelling fresh! Combine all ingredients (except essential oils) in a blender and blend for about 7 seconds. You will have a foamy mixture. Now add the essential oils and stir well. Transfer to a jar and take it to the shower with you. Wet your hair. Then slowly pour the egg shampoo on your scalp and strands. Then start massaging your scalp and hair to loosen dirt and grime. Leave it for 2 minutes then rinse off thoroughly using tepid water (NOT hot water). Wrap your hair in a non-fluffy towel. When dry, your hair will smell pleasant and be silky soft! Coconut milk is a popular base ingredient in many homemade hair shampoo recipes – it cleanses hair & scalp, balances pH, nourishes & moisturizes, conditions locks and calms an itchy and irritated scalp as well. Vegetable glycerine removes dirt and impurities from hair, thickens the shampoo and locks moisture into hair. Olive oil is the best oil for damaged hair, it’s rich in antioxidant vitamin E and lubricates dry hair. Geranium essential oil nourishes & conditions hair as well as makes this homemade shampoo smell heavenly. Place all ingredients except the geranium oil in a blender and blitz for 5 seconds. Pour into an applicator bottle, add the geranium, shake well and voila! 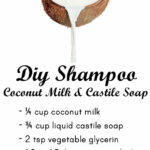 Your coconut milk shampoo is ready! Work with dry hair. First apply it all over your scalp by pouring a little using an applicator bottle and rubbing it in to loosen dirt. After your whole scalp is covered, move on to your hair length. Stand over your sink while you slowly pour little by little from the applicator bottle to soak your hair length. Once done, wring out your hair to remove the excess liquid and then tie your hair with a clip. Leave it to penetrate and loosen dirt & grease for about 2 minutes. During this time, you can wash your body or shave. After 5 minutes, start thoroughly rinsing your hair with warm water first, then seal off with cold water. Wring out and wrap your hair in a non-fluffy towel. For best results, make these homemade shampoos fresh for one-time use but if you want to store it for later, keep in the refrigerator for up to 3 days maximum. If it smells funky, do not use. Use any other essential oils of your choice to enhance your shampoo! For example: tea tree for dandruff, rosemary for hair growth and lavender for beautiful scent. Do you need to use conditioner after using these homemade shampoo recipes without castile soap? No you don’t! All these ingredients including egg, honey, coconut oil, olive oil and the essential oils all work in naturally conditioning hair so you will have a MUCH easier time detangling. Personally, after using these homemade shampoos, my hair becomes silky soft and I just have to use my fingers to instantly detangle in 5 minutes or less without any problems! If you’re interested in using natural ingredients for your hair and scalp, you might love our ebook: Complete Guide to Essential Oils for Hair & Scalp. 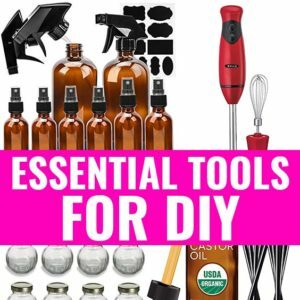 It contains a lot of DIY recipes including how to make your own hair growth or cleansing shampoos, conditioners, hair creams, moisturizers, hair serums and basically how to use essential oils for a healthier scalp and beautiful hair. You can find out more here or buy now here. If you are going chemical-free on your hair, but want to save the time of making a homemade shampoo, this Maple Holistics Sage Shampoo & Conditioner set is a game-changer. It contains powerful herbs such as sage: for dandruff & itchy scalp treatment, rosemary: for hair growth and prevention of hair loss and spikenard for dandruff treatment. It also has argan, jojoba and tea tree oils that all protect the scalp from germs, keep hair clean as well as hydrated and moisturized. This shampoo does not contain sulfates, so it will not lather the way you are used to, but you will quickly get used to it and notice the difference! 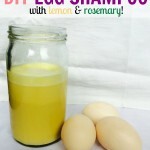 DIY Egg Shampoo Recipe | For Clean, Soft & Shiny Hair! 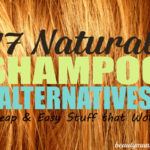 My Top 5 Favorite Natural Shampoo Recipes – DIY at Home!